Architects praise the natural beauty of steel and are excited about exposing it in the design of their structures to emphasize grace, slenderness and strength, and in their building envelopes to enhance environmental performance and aesthetic character. 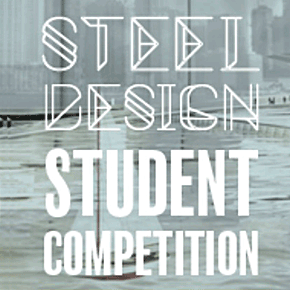 This program is intended to challenge students, working individually or in teams, to explore a variety of design issues related to the use of steel in design and construction. Challenges architecture students to design an intermodal transportation center that proposes a cohesive transit system that includes components such as international, regional, and local train stations, bus terminals, ports, airports and spaceports in a major urban location.